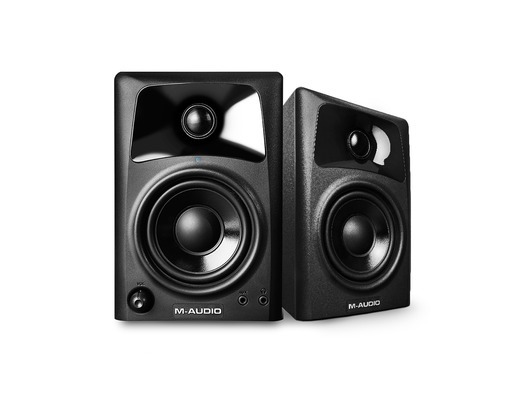 These amazing M-Audio AV42 desktop monitor speakers are constructed from MDF cabinets with a high acoustic resistance and designed to ensure these speakers produce the best clarity available to desktop speakers. The on-board class A/B amplification gives each channel on these active speakers 20 Watts of power, with a two-way design that features an optimised base reflex and OptImage IV waveguides to provide a warm, deep bass sound in conjunction with crystal clear highs. 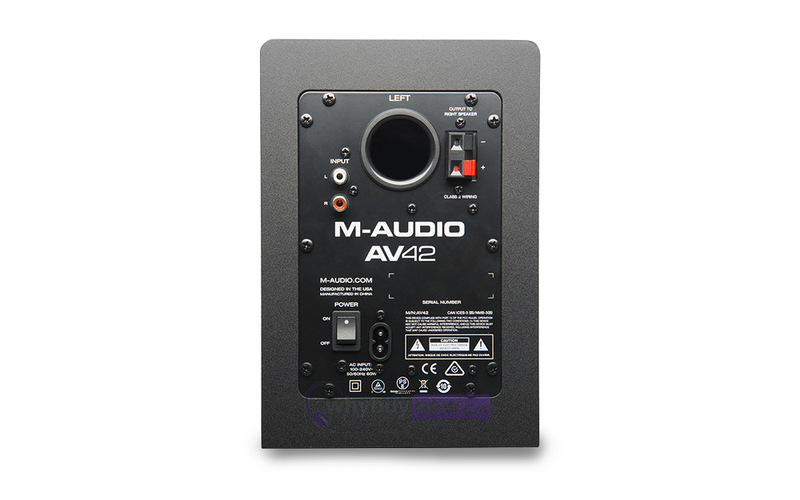 These active monitor speakers have RCA inputs and a 1/8" stereo jack, allowing the AV42 speaker monitors to be connected to a variety of devices including laptops, tablets and even mobile devices. The 1/8in stereo jack on these speakers also give you the opportunity to listen privately at any time of day. 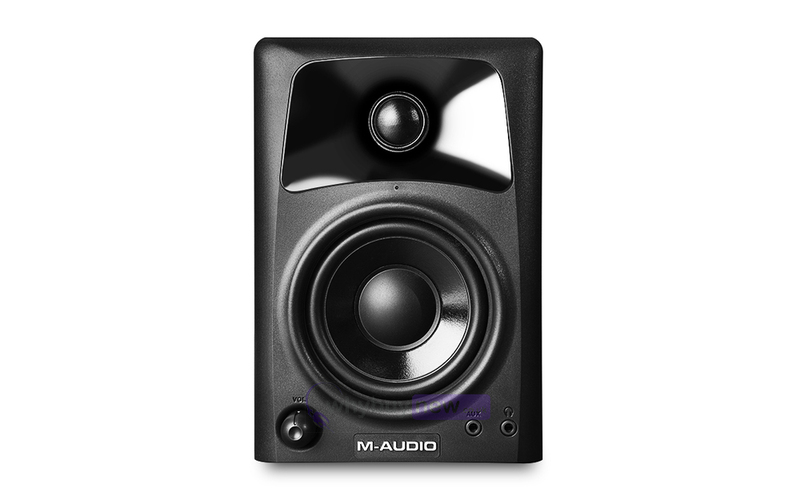 These active speakers are perfect for music creation playback with a great quality of sound, but are also great for use as PC speakers or general media playing speakers. We include the pair of speakers within the price so you won't be caught out with only one speaker and they're supplied with all the cables required for hooking them up. 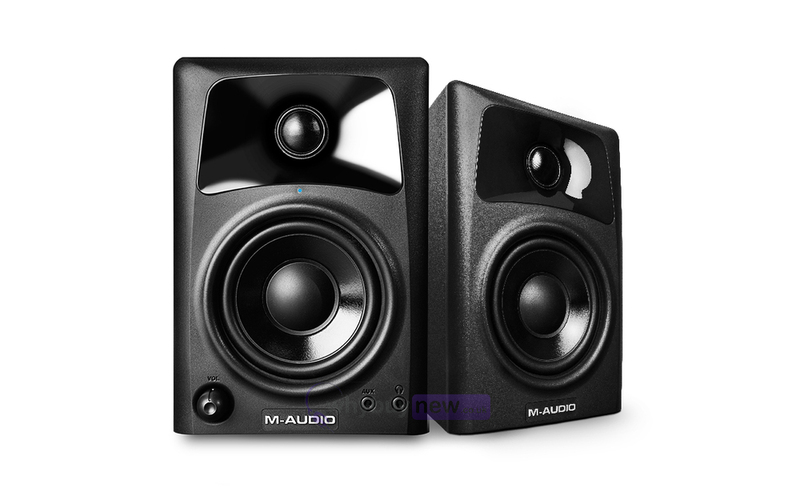 Their set up is simple, with a plug and play solution, although additional third party drivers may be required to get the best quality sound from these speakers when attached to a PC. 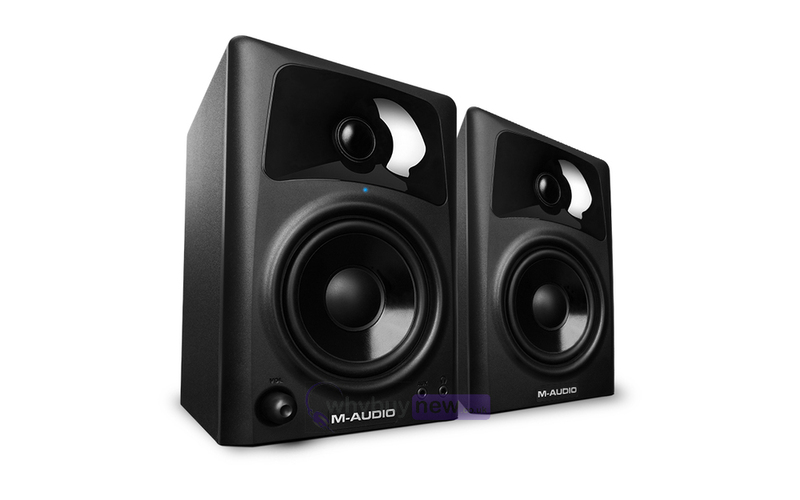 Here we have the M-Audio AV42 Active Speakers (Pair) in brand new condition and in B-Stock. The B-Stock versions would have been on display at a training evening or trade exhibition only and will come boxed 'as new' with all accessories and a 1-year warranty. Couldn't recommend high enough. Great, compact speaker and really punchy, good quality sound.